MOSCOW (AP) — Russia will develop land-based intermediate range missiles within two years, the nation’s defense minister said Tuesday, a statement that comes in response to the U.S. decision to abandon a key nuclear arms pact. The U.S. has formally notified Russia over the weekend of its decision to suspend its obligations under the 1987 Intermediate-Range Nuclear Forces treaty over alleged Russian violations. 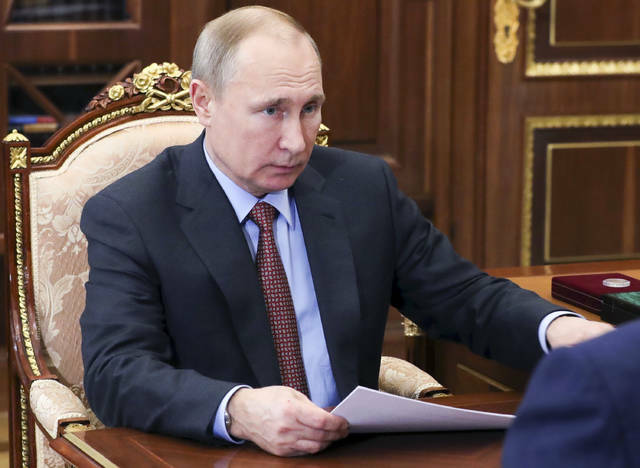 Russian President Vladimir Putin responded by saying that Moscow would also abandon the pact. 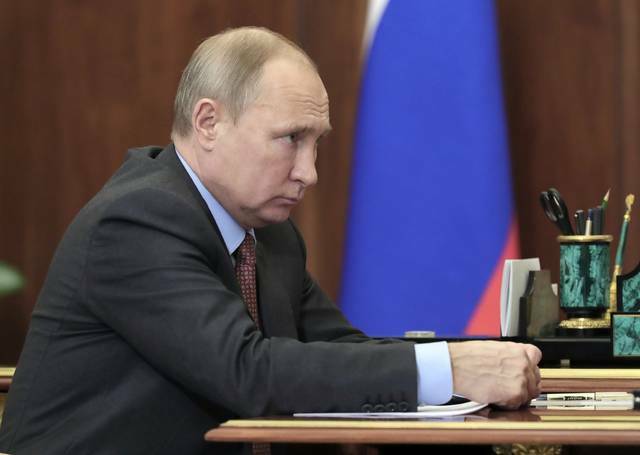 Russia has rejected the U.S. claim that it has built and deployed a cruise missile that violated the treaty’s ban on land-based cruise and ballistic missiles with a range of 500 to 5,500 kilometers (310 to 3,410 miles). But Shoigu said Tuesday such weapons need to be designed now, charging that the U.S. has already started developing such weapons. He said at a meeting with senior officers that a land-based version of the navy’s Kalibr cruise missile and a new land-based hypersonic missile must be built in 2019-2020. He noted that the Kalibr has proven itself during the Syrian campaign, when it was launched at targets in Syria from Russian navy ships in the Caspian and the Mediterranean Seas. Shoigu made the statement following a meeting with Putin over the weekend, at which the Russian leader instructed the military to work on developing new land-based weapons that were previously forbidden by the INF treaty. KABUL, Afghanistan (AP) — The Taliban launched a pre-dawn attack on an army base in northern Afghanistan on Tuesday, killing 26 members of the security forces, a provincial official said, the latest brazen assault by insurgents amid stepped-up efforts to resolve the country’s protracted war. Donald Kirk has been a columnist for Korea Times, South China Morning Post many other newspapers and magazines. He wrote this for InsideSources.com. 祝我所有的中国朋友猪年快乐: Happy Year of the Pig to my Chinese friends! Disclosure statement: Jeffrey Fields receives funding from the MacArthur Foundation and the Carnegie Corporation of New York. Partners: University of Southern California — Dornsife College of Letters, Arts and Sciences provides funding as a member of The Conversation US. Joshua M. Pearce, Professor of Materials Science and Engineering, and Electrical and Computer Engineering, Michigan Technological University: The data is just too overwhelming – it is no longer rational to maintain a nuclear weapons stockpile that can cause significant harm to your own country if you use it. Both Russia and the US are far over their pragmatic limits – it is long past time adults on all sides (US, Russia and China, along with the other nuclear states) stopped irresponsible government policy towards nuclear weapons.